We are delighted to announce the selected gymnasts that will compete at the FIG (International Gymnastics Federation) iPro Sport World Cup of Gymnastics at The O2 Arena in London on Saturday 8th April 2017, which will be shown live on Sky Sports Mix. The competition is coming back home to London as one of the most spectacular and popular events in the world of gymnastics as part of a new partnership between Matchroom Sport and British Gymnastics. 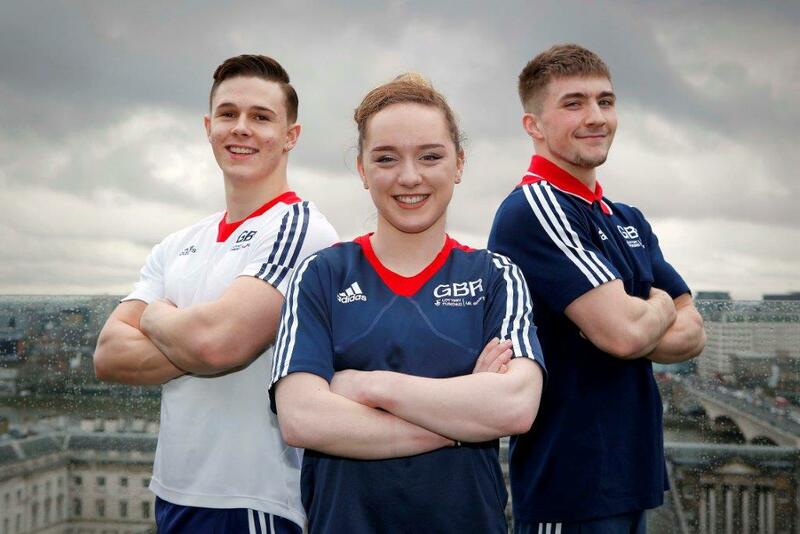 The British gymnasts aiming to wow the home crowd will be Amy Tinkler, Ellie Downie, Sam Oldham and Brinn Bevan. With 14 major championship medals between them, our gymnastics superstars will spearhead an international field of the world’s best in this major global event in front of a packed out crowd in London. Rio Olympian Ellie Downie is making a name for herself on the international stage winning an all-around bronze at the 2015 European Championships whilst Amy Tinkler is back on home soil after an outstanding performance at the Rio 2016 Olympic Games where she won bronze on floor and became Team GB’s youngest medal winner in Rio. Sam Oldham, London 2012 Olympic bronze medallist and two-time silver medal winner on high bar at the European Championships, has just returned from competing at the American Cup and is relishing in the chance to compete on the world stage again. Brinn Bevan, who was part of the first men’s team to win a Team medal at a World Gymnastics Championships for Great Britain in Glasgow in 2015, has his sights set on wowing the home crowd again in London. The World Cup of Gymnastics will be broadcast live on Sky Sports Mix for the very first time, making the event available to millions of Sky TV customers. Sky’s broadcast guests include Olympic medalist Beth Tweddle and Nile Wilson, with Natalie Pinkham presenting. Christine Still and Craig Heap will commentate. Coverage is from 1300-1700 and 1900-2300. As well as our competing British gymnastics stars, a host of our Rio Olympians will also be present at the O2 Arena supporting the gymnasts and interacting with the crowd including double Olympic champion Max Whitlock who today also announced his plans for a return to competition. The first World Cup of Gymnastics was in 1975 and was hosted in London. The event is being brought back to its roots and will be the final competition in the World Cup Series where the winner who has gained the most points over all past three events (American Cup, Stuttgart World Cup and this World Cup in London) will be crowned. The competition will be broadcast live on Sky Sports and tickets are on sale now from £30 per session.